See that open window? We just threw the rulebook out of it. We wanted to reinvent potting mix and come up with the ultimate, high performance brew; our techy people took up the challenge. They spent ages in the lab, trialling and testing different combinations of ingredients, until they got it jusssst right. The result: Living Earth's More Than Potting Mix. This super duper blend is specially crafted to grow all types of plants in pots and containers in no time flat. 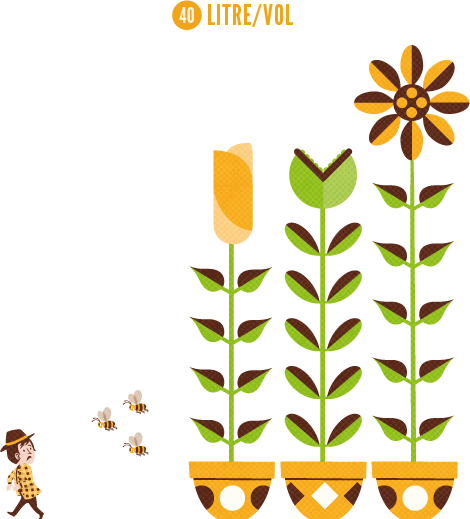 Portable potted performance with extra pep! First things first, we put in some Living Earth Organic Compost for nutrients. Then add Bark Fines and Pumice for substance and drainage respectively. You might want to sit down for these next two. Together they team up to create a super-ultra-mega-duo of revved-up growing power. Introducing: Fertilisers and a Wetting Agent! My heroes. 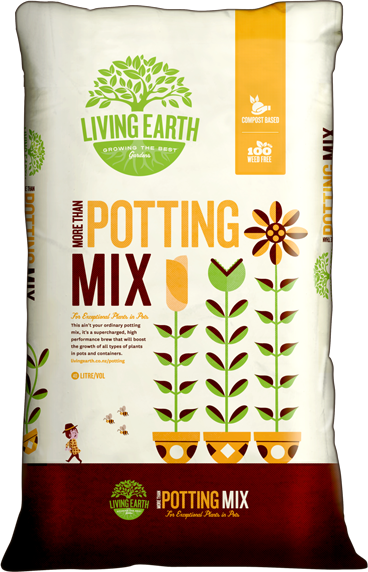 Fill up pots with Living Earth Potting Mix leaving a gap of 2-3cm from the rim. Stand back and wait for the magic to happen. Top up with fresh potting mix when re-planting.